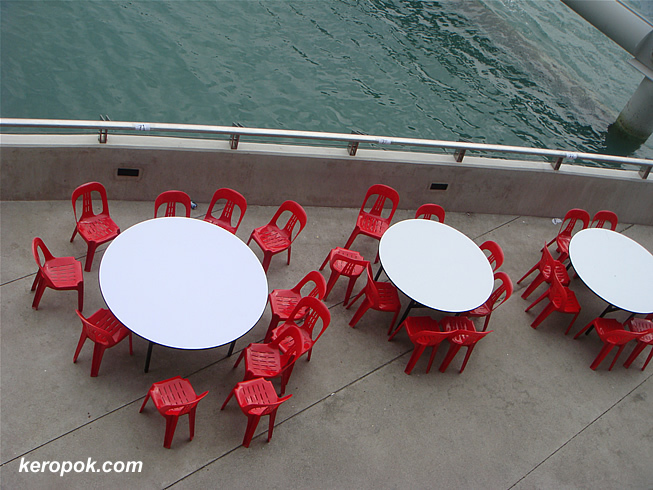 A shot of empty tables and chairs waiting for the night crowd to occupy the tables. That makes a cool pattern! I like the angle here. green and red are complementary colors...cool observation!